The University of Bristol, as part of the SETsquared Partnership, today launched a programme to enable some of the UK’s best tech scale-up companies become the sector giants of tomorrow. It is expected to generate over £25bn for by 2030, create an additional 30,000 high-skilled jobs in the tech sector, and help improve Britain’s poor investment record in research and development. 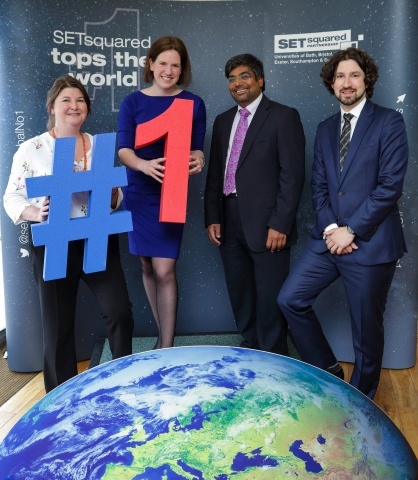 SETsquared is the Global No 1 business incubator and findings from Warwick Economics show that SETsquared is already creating a cumulative GVA of £8.6bn for the UK from its support for tech startups. “The SETsquared partnership has not only helped nurture and grow British technology businesses, but it has also contributed £8.6 billion to the UK economy, which is an incredible achievement. The scale-up programme tackles the issue of how to ensure more UK tech start-ups develop to become major forces in their field. Warwick Economics estimate technology scale-ups are likely to produce 42% more GVA than traditional scale-ups and generate 16% more jobs. SETsquared’s new scale-up programme has been supported by £5m of government funding through Research England’s Connecting Capability Fund which will enable 240 of the most innovative scale-up companies to access support. Ministers have committed to increasing productivity in the UK and increasing spending on Research & Development from 1.7% of GDP to 2.4% to tackle these economic challenges. The UK currently ranks 22nd in a list of OECD developed countries. Over 20 member companies from SETsquared were on hand to engage with parliamentarians and tell them about the challenges of starting or scaling a tech business in the UK.